Artists include: Kevin Appel, assume vivid astro focus, Guy Ben-Ner, Oliver Boberg, Edward Burtynsky, Dawn Clements, Andy Coolquitt, Stéphane Couturier, Jacob Dahlgren, Spencer Finch, Neil Goldberg, Corin Hewitt, Carsten Höller, Los Carpinteros, Luisa Lambri, Christian Marclay, Josephine Meckseper, Vik Muniz, Shirin Neshat, Juliana Paciulli, Javier Piñon, Ross Sawyers, and Hiroshi Sugimoto. 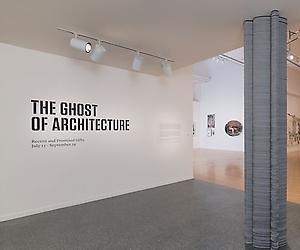 The Ghost of Architecture is organized by Luis Croquer, Deputy Director of Art and Education, with support from Judy Sourakli, Curator of Collections and Merith Bennett, Senior Curatorial Associate. 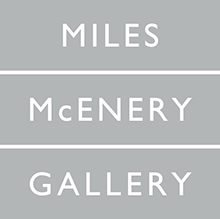 The exhibition is generously supported by The Barton Family Foundation in memory of Irving Marcus; Cathy and Michael Casteel; the Jon and Mary Shirley Foundation; William and Ruth True; and the Bagley and Virginia Wright Fund.